I love when Billy Collins writes about simple things, such as the bath toys at the pharmacy or the OMG trend. I think he's at his best in these observant, witty poems. However, I felt that too many of these poems were of the "serious" variety, ie what is the meaning of love, which didn't work well for me. Not that I don't enjoy serious poetry, but these were overly complicated. I also got annoyed by the rampant drunk mentions and frequent maligning of other poets. 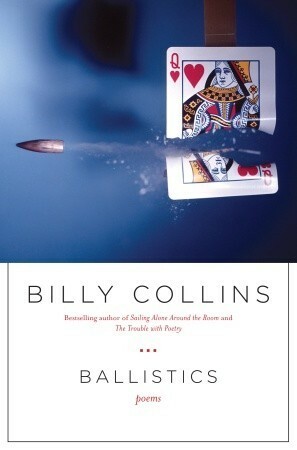 Sign into Goodreads to see if any of your friends have read Ballistics.